Have you been touched by the Mystery? You may not remember it but we have all been touched in some mysterious way by the divine. Though we know that traumatic memories are often suppressed, the fact that we all, particularly as children, are likely to have had significant spiritual experiences of great goodness and importance to us is generally rejected, its remembrance discouraged. But these experiences remain within us, ready to re-awaken, when the right catalyst enters our lives. 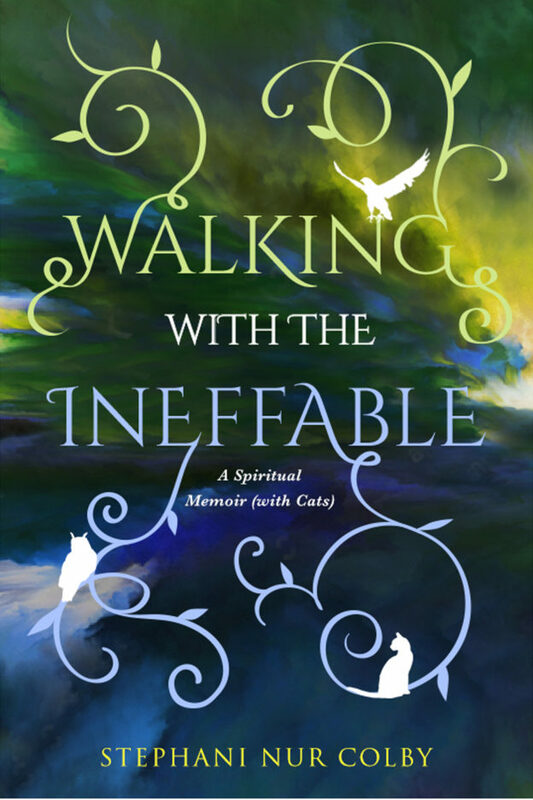 Walking with the Ineffableis a memoir of one woman’s walk through the mystery of spiritual experiences. It is about the changing weather of belief: what we believe, why we believe, and when we believe. Steeped in the mysticism of Christian, Sufic, and other spiritual transmissions and pilgrimages, the author, aided by a vibrant host of wise-eyed, mischievous cats, brings a broad spiritual perspective to the perennial quest of the human soul to know itself and its Maker, and to the discovery of that hidden splendor, waiting to shine, in the depths of us all. From childhood Stephani Nur Colby has felt fleeting touches of grace, like the brush of unseen bird of Paradise wings from another world. They drew her on in search of healing for herself and others from a great ineffable harmony she sensed at the core of everything living. Spiritually seeking, she was already bathed in the powerfully mystical atmosphere of the Greek Orthodox Church from birth but over time explored other Christian expressions as well, a rich and subtle Sufism open to those of all faiths, a Native American transmission carried through hawks, owls, and falcons, herbal apprenticeship, and the study of various gentle but dynamic forms of energy-healing — trying always to follow the leading and guidance of the Holy Spirit. Now a Greek Orthodox Psaltria (Psalmist/Cantor/Reader) and Inayati Sufi Order initiate, graduate of the Suluk Academy, and energy-healer, Stephani is uniquely positioned to help those who are spiritual explorers, striving to make new connections with the power and beauty of deep-rooted, life-giving ancient paths. 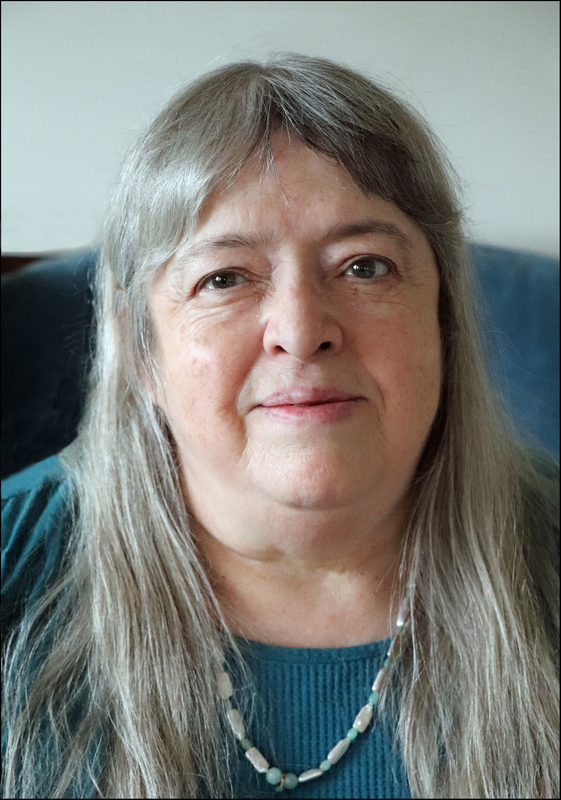 Her goal is to keep drawing nearer to the holy Creator in fresh and intimate Spirit-inspired ways, with respect for tradition but minus the soul-weakening weight of convention, and to help others to do so with humor, gentleness, and love. She has led Christian retreats for adults, especially women, taught classes on the lives of saints and the Virgin Mary, written on related topics, founded and directed for six years the St. Mary of Bethany Society for Christian girls, and traveled as a pilgrim to holy places in Greece, the Holy Land, Turkey, England, and Bulgaria, learning from and absorbing their grace. Her intended mission in life is to help bring hope and joy to others through the healing acceptance of self and a vital, fulfilling, and ever-surprising relationship with the Divine Beloved and the light within.